How you want to personalize or customize your wedding depends on the type of wedding you want to have. 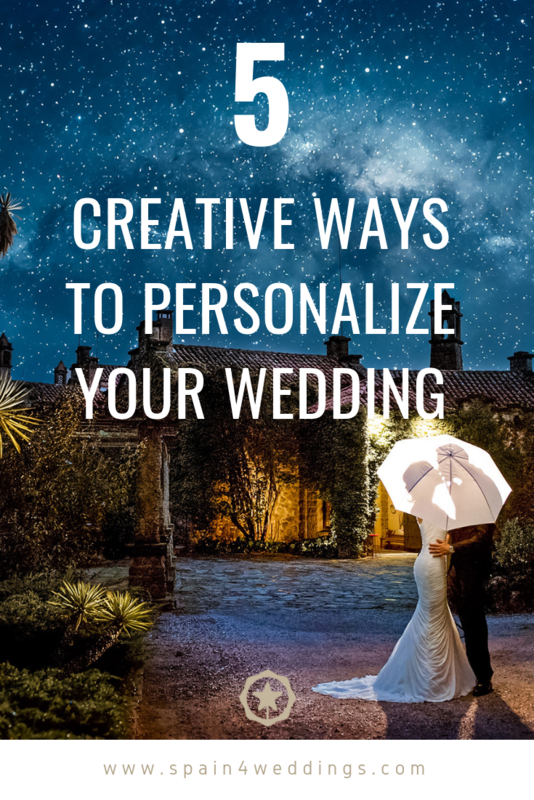 Therefore, adding a little creativity to personalize your big day can be amongst the most satisfying activities you’ll take on throughout the planning process. It is always good to concentrate on what brought you and your lover together or to elaborate on your mutual interest. Every bride would love her wedding to be memorable and beautiful. Most at times, they also would love their wedding to stand out and be unique, even if they might have a fairly traditional taste. You should note that there are sensitive moments you need to consider and incorporate during your wedding. For example, if you both met and got engaged while on the beach or while on a trip in a beautiful country like Spain, you should plan on having your wedding in such areas so as to rekindle your love flame or make it stronger. 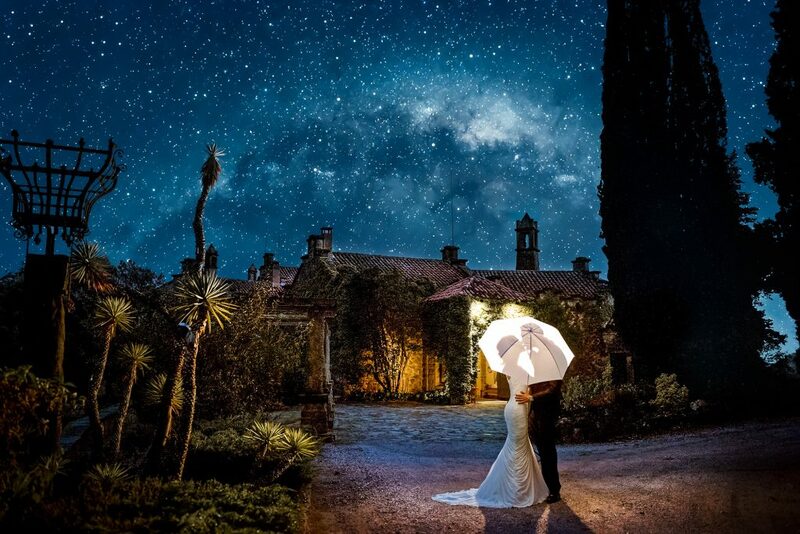 In addition, if you’re planning to have a perfect wedding abroad or in Spain, a specialist or a Spanish wedding planner can assist you in your choices, both in the direction of the wedding ceremony to the tasks of the reception throughout the event. However, here is a list of specific and unique wedding ideas for inspired traditional, décor tips, and even some last minute surprises that you can examine to make this beautiful day memorable both to you and your spouse. Just as quality music controls the energy and mood of a jovial crowd, good lighting empowers the ambiance and aura of the whole affair. With weddings, lighting is very important. Think of exchanging your vows beneath the light of your own moon. Sounds romantic, isn’t it? So, you should be inventive with ceremony lightening, from bucolic twinkle lights to well-lit works of art. After everything has been kept in place, a little impulse will greatly intensify the magic of the ceremony. You can get down one knee, break into a song, or recite a poem or a write up you’ve surely memorized for your lover. One thing that doesn’t get unnoticed is a custom wedding program – tailor them into your own style and make it interesting. A clear and brief wedding program is best so invites can concentrate on the main event. Keep it simple with a well-designed script or you can simply add a fabulous engagement picture. 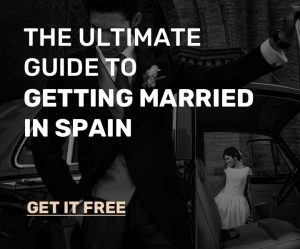 Getting married in Spain for foreigners can be very exciting because this country has a lot of beautiful places that will make their wedding exceptional. Well, if you’ve planned to get married in Spain, set it in the heart of any city of your choice, a rooftop wedding ceremony. This will showcase the architectural beauty that surrounds you. To make it special, you can add floral touches. The perfect and usual bridesmaids dressing code no longer feels so special. To make your wedding simply and slightly different, allow each attendant to decide on her attire. Nonetheless, a wedding ceremony ought to reflect or incorporate every detail that makes your union unique. These ideas will help make your wedding day a stunning one irrespective of the design you choose.